To help yourself out, make sure you cut the cold butter into small pieces (roughly half-inch cubes). Then toss them into your dry ingredients and break apart the butter quickly with your fingers. I like to think of it as a treasure hunt for nuggets of butter – when you have trouble finding the big pieces, stop. I always wanted to continue to find the slightly larger bits of butter, but trust me. Walk away. It’s not going to be uniform, and that’s ok. Some will be the size of peas and others, small pebbles. Then you’ll quickly mix in the liquid starting with a wooden spoon for a minute and then kneeding briefly with your hands just until the dry ingredients are incorporated. Pat the dough into a disk about an inch and a half high, and start cutting. No biscuit cutters?! A pint glass and a pairing knife will get the job done, but promise me you’ll get a biscuit cutter soon. Don’t listen to your friends – it’s not an extraneous kitchen gadget. You deserve it…just like you deserve a third biscuit. No one’s judging. *Important p.s.- Head on over to Fiesta Friday for more amazing cooking inspiration! Working quickly, rub the bits of butter into the flour mixture using your fingers. When you have some the size of peas and others, small pebbles, stop! Don’t over work the pieces – if they get too small and melty, we won’t get that gorgeous puff and flakey layers. Empty the dough out onto a floured work surface and kneed the dough until the flour is just incorporated (this shouldn’t go more than a minute – longer and you’ll melt the butter and the dough will get tough). Press the dough into a flat disk, about 1 inch thick. 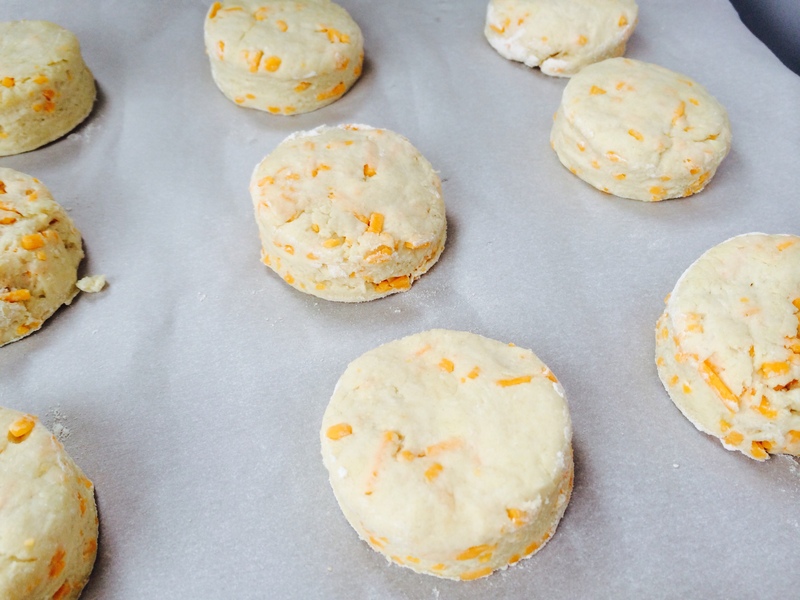 Cut the dough into large biscuits. Arrange on a parchment-lined baking sheet, brush the tops with whole milk or beaten egg (for a nice shine), and bake in the oven for 15-20 minutes, or until golden brown. Serve warm and enjoy them the same day! Le Petit Artichaut m’as manqué! Je suis occupé à profiter de DC avant de déménager! I missed Le Petit Artichaut! I’m busy soaking up DC before moving! « I’m Blushing! The Liebster Award! Biscuitsss yummm!! Last year I got on a biscuit making frenzy and made them for about a week straight. After reading this post I may be doing that again soon! Fun to read your adventures of coming up with a biscuit you loved! Sound yummy! this makes me think i should have some powdered buttermilk on hand in case of emergency. 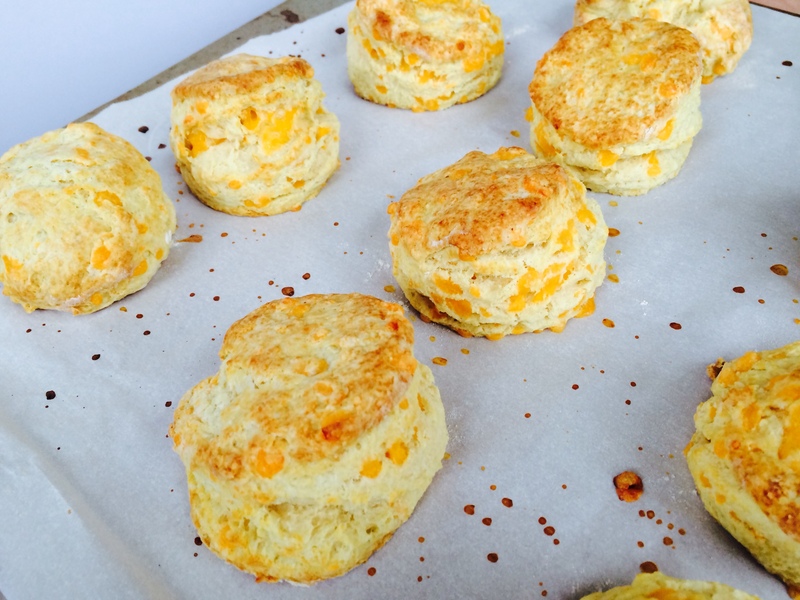 because biscuits. If I had any appetite whatsoever I would drive or fly over to your house right now and beg for one or two of these. 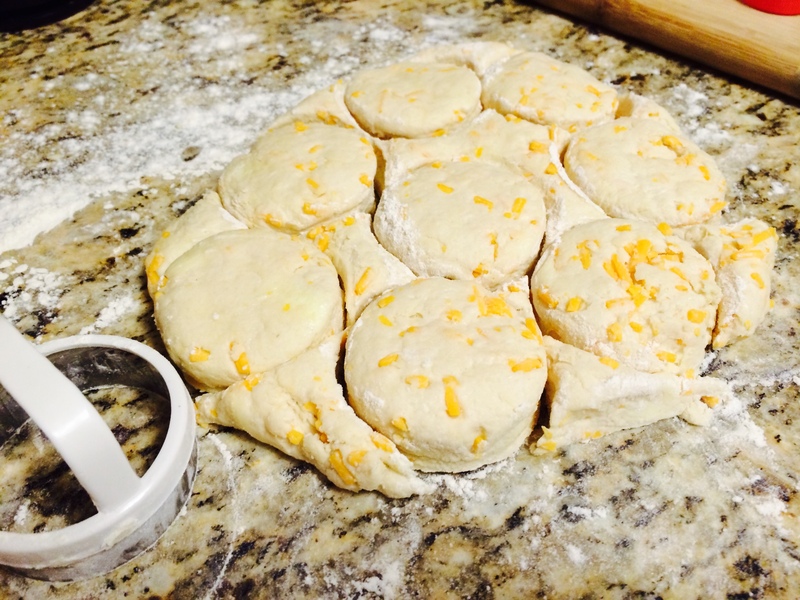 I love biscuits with cheese, anything with cheese baked into it. Unfortunately I am totally flour-logged right now. Too much baking. Too. much. baking?! Bite your tongue! :) I’ll be baking biscuits in the Bay Area soon though if that helps with the journey! I will be in the Bay Area from about June 13 through 17 or 19 for my parents anniversary — they are renting a place for a week to celebrate 50 years marriage! I shall follow my nose to the biscuits. These are my favorite kinds. Looking gorgeous. i always wondered how they would be made at home.. when i get across the pond i love having these with the sausage gravy.. and fried chicken! thanks for bringing them to FF18! 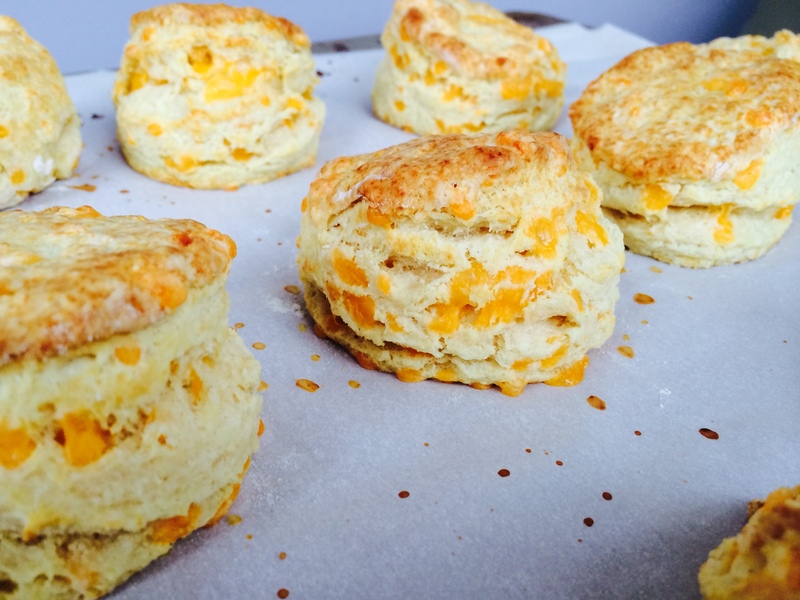 Well cheddar bacon scones sound delicious too! !